The Safety 1st Convertible Car Seat is one of the company’s 3-in-1 car seats that allow children to continue using it as they grow. This car seat can be used in three different modes, including rear facing mode, which is the recommended positioning for infants. The seat can then be adjusted to a front-facing seat and can be used in two modes when in that position. 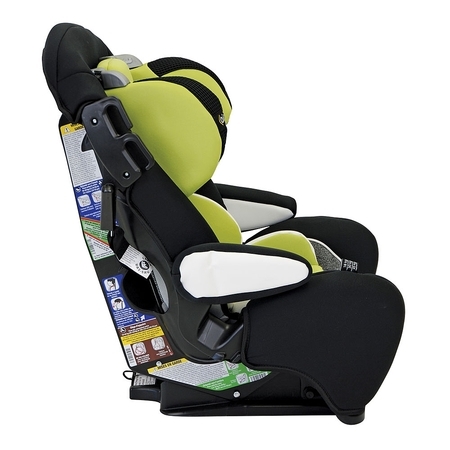 This car seat features a 3-position recline feature that helps keep your child comfortable at every stage. Because this seat can be used both rear facing and front facing, you will not have to buy any other car seat as your child grows. Once they outgrow the weight limit of this model, they will be able to sit in the backseat of a car with just a regular seatbelt. To begin with, this seat is to be used as a rear-facing seat while your baby weighs between 5 and 35 pounds and is between 19 and 36 inches tall. 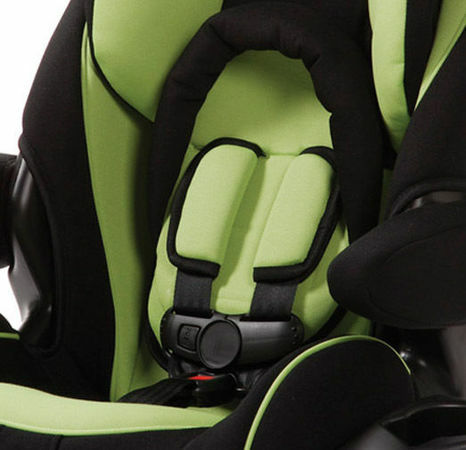 The seat features a 5-point harness that helps keep your child safe and secure. There is also a removable infant support pad that can be removed once your baby is big enough and no longer needs it. Keep in mind that the American Academy of Pediatrics now recommends keeping your child rear facing until they are two years of age. With this model, most children will remain within this weight limit until they are at least two years old. If your baby reaches two and still weighs below 35 pounds, don’t feel forced to switch to front facing. The longer your baby is rear facing, the better, so take advantage of this 35 pound weight limit. 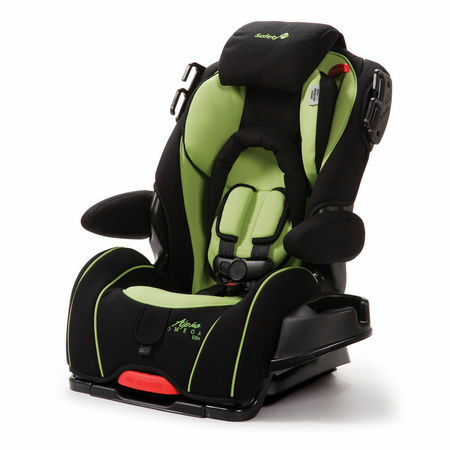 safety 1st convertible car seat head restThe next mode for this car seat is as a front-facing car seat with harness. Your baby should weigh between 22 and 50 pounds to use the seat in this mode. They should also be between 34 and 43 inches tall. The patented QuickFit harness is easy to adjust and requires no rethreading. There is also the QuickFit headrest which also adjusts with the harness and is easy to adjust to fit the height of your child. You can easily adjust both the harness and headrest in one step from the front of the seat. Finally, the Safety 1st Convertible Car Seat converts to a belt-positioning booster seat and is to be used when your child weighs between 40 and 100 pounds and is between 43 and 52 inches tall. In this mode there is no harness and your child uses a seat belt to secure themselves. The seat features armrests that move and a detachable cup holder as well. The moveable armrests make it easier for the child to get in and out of the seat. Once your child is above 100 pounds and 52 inches tall they should stop using this seat. The Safety 1st Convertible Car Seat is side impact tested and features EPP energy absorbing foam in the headrest portion of the seat which provides additional crash protection. 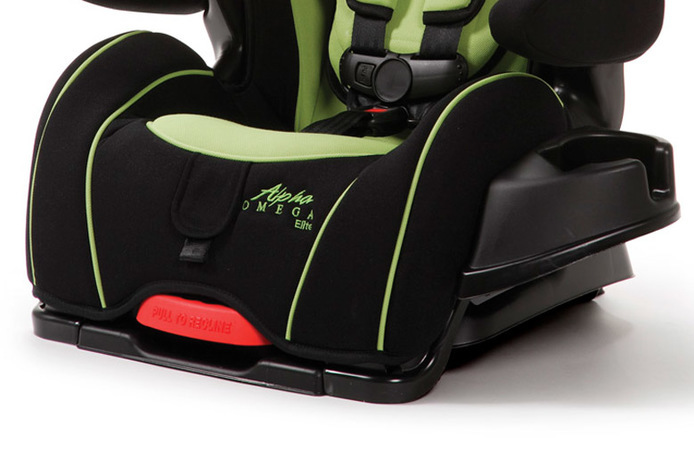 The 5-point harness will keep your child safe both in rear facing and front facing mode until they weigh 50 pounds. On the positive side, the cushion of this car seat is easy to remove and clean, which is a feature all parents are sure to love. This seat is fairly large in size, however, and this can make it very difficult to deal with, especially if you are moving the seat from car to car. This car seat is secured using the LATCH system and some parents have complained it is one of the more difficult car seats to install properly. Always be sure to install car seats properly and if you are not sure, find someone who can ensure the seat is properly installed before allowing your child to use it. While parents love the affordable price of this car seat, there are concerns with this seat especially involving installation. However, this seat does have over a few hundreds reviews on Amazon and is one of the more popular 3-in-1 models on the market, and for good reason. Parents love that this is the only seat they will have to purchase for their child. While it is easy to remove and clean the cushion, another huge plus, the seat itself is very bulky and has been hard to use for some parents, especially those with smaller sized cars. Several parents have also noted that the seat belt positioning is not correct when using this seat as a belt-positioning booster. While seat belts should sit across the laps of children, parents have noted that this seat makes the seat belts sit across the abdomen area instead. Parents love the 5-point harness and many have shared stories of their children walking away from car accidents uninjured thanks to this car seat and its good crash protection. We would recommend the Safety 1st Convertible Car Seat to someone who is on a more limited budget and is looking to purchase one car seat that will last for the duration of the time their child needs to use a car seat. If you are good at installing things, and especially if you have experience using the LATCH system, you will likely not have trouble installing this seat. If you are looking for a reliable car seat that can be used both rear and front facing, this is the seat for you.